Tiny lake conditions with some offshore winds when we first pulled up. Two foamies and a kayak were out. Greg was heading out and we saw him catch some little lefts outside of the pumphouse. Max chatted with Rick E who was getting the blank today (!) and they decided on a glassed in fin. Ran into Rick L. By the time we went out, the wind had picked up and it was pretty choppy. Went out without booties again. Surprised to catch my first lumpy wave that turned into a little left. Lots of spray. Couldn’t really see. Right upper arm was sore from yesterday or sleeping on it last night? Got some more inside lefts. 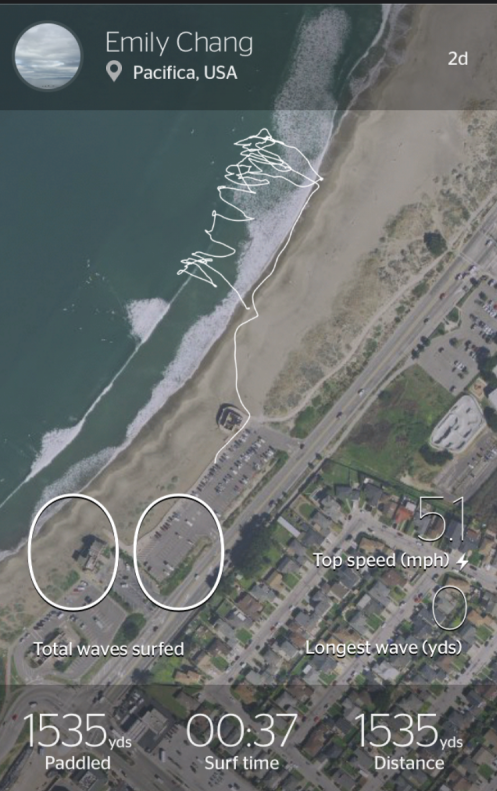 Max got a 7mph left but ran into his toe with his board and had to go up to the beach. Luckily, his toe was fine. Wind picked up so much and was blasting by the time we left the water. Counted 0 out of 4. 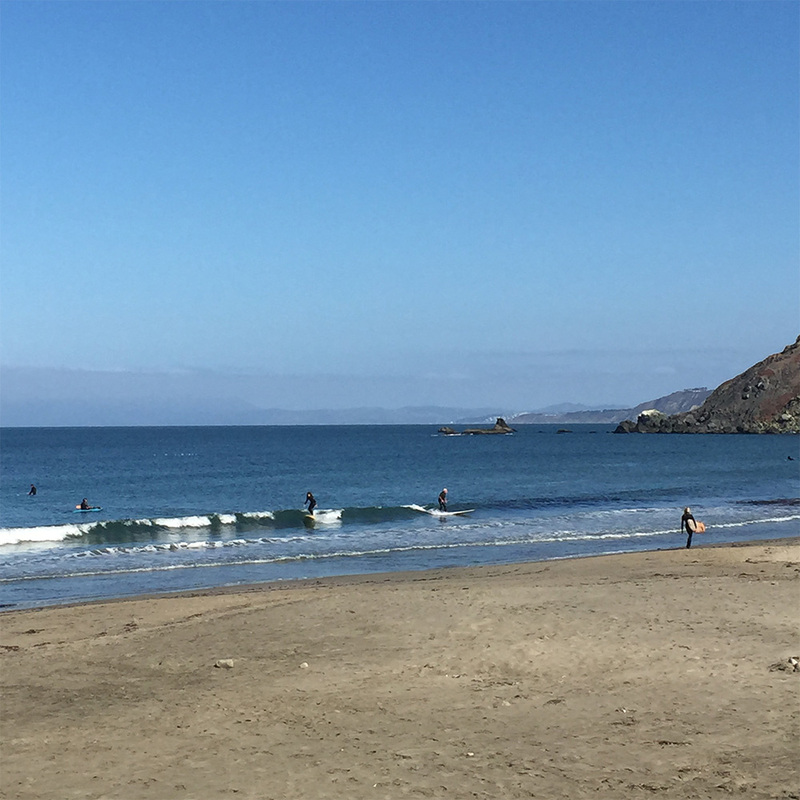 Afternoon Report for SF-San Mateo County: Rippable/playful little waves at good exposures right now (OB looking small but fun) with leftover NW swell and slow building SSW swell. Knee-waist-chest zone waves are the norm for good spots while standouts see some crossed up shoulder high peaks. Winds are just light onshore, ocean surface is mostly clean and the tide is dropping. Sunny skies prevail.